It’s been a couple of months now, but we Yosemite-Mono Lake Paiutes want to acknowledge well known Yosemite area Indian Della Hern who passed away on January 15th 2011 in the town of Big Pine. Della Dondero-Hern wearing Mono Paiute collar and in native dress. Della Hern was born 88 years ago in town of Lee Vining in Mono County on February 23rd 1922 to Lena Tom-Dondero. She was born along the same shores of Mono Lake that Chief Tenaya was born before he took 200 to 300 Indians back into Yosemite Valley where he established the Paiute colony of Ahwahnee. 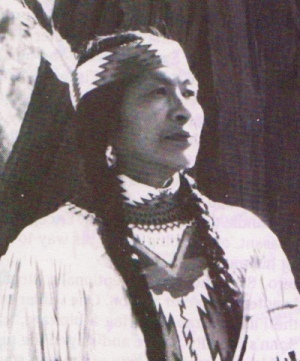 Della Hern was born into the prominent Yosemite-Mono Lake Paiute Indian family of Bridgeport Tom and Captain Sam. Della was the grand daughter of Bridgeport Tom and the great grand daughter of Captain Sam who were founders of the Coleville Paiute-Washoe Colony in Mono County. 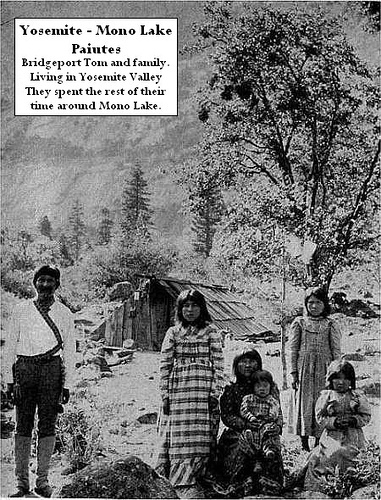 They bought the land with money they earned working in Yosemite. Captain Sam and Bridgeport Tom spent the majority of their life between Yosemite and the eastern Sierra Nevada. 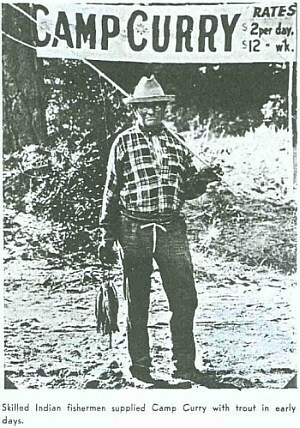 Both of the men were scouts, hunters and fishermen for the early Yosemite Valley area settlers. Della Hern’s grand mother, Louisa Tom, and cousins, Alice Wilson and Lucy Telles, were famous basket makers and their baskets are featured in the Yosemite Indian Musuem. 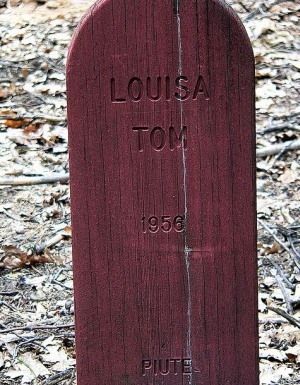 Della’s grandmother Louisa Tom is buried in the Indian cemetery located Yosemite National Park. Della was raised at Mono Lake and when she was a young lady she met and married Ralph Hern. Ralph Hern was a great grandson of Mary Ann Hogan on his father’s side and the great grandson of Sarah Priest on his mother’s side. Sarah Priest was the daughter of Cypriano, signer of the 1851 Fremont Treaty for the Awals or Walla Indians. Sarah had married Josiah Priest a native of Maine. Paiutes believe when we pass on we cross the Dusty Trail otherwise known as the Milky Way. Della Hern never minced her words and it is one thing to have known her, but is another thing to have earned her respect.